I have a system for keeping stuff in my house. When not actively in use, most of my stuff ends up piled on the floor in my home office. When that fills up I move it to more permanent storage in my basement. When that fills up? At this point the attic or the garage become the final resting place of everything I may need someday that I need to keep…just in case. 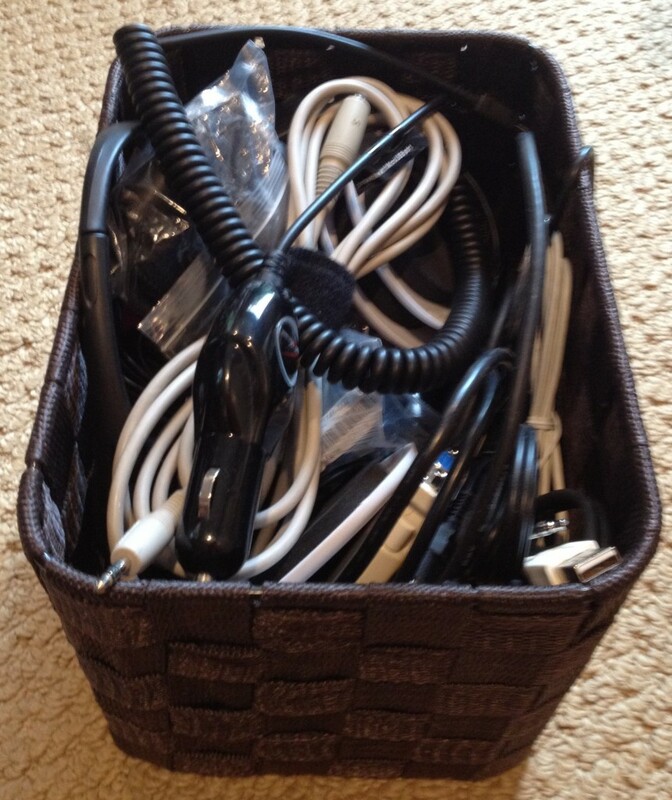 Am I the only one who has a basket for cables, adapters and power supplies? I keep putting things in but rarely take anything out. And when I do, my process is to dump everything out on the floor, find what I need, then put it all back. Last time I did this I swear I saw a power cord for a Motorola StarTAC. Did I throw it out? No. I wasn’t quite sure, so I left it alone. Please tell me it’s not just me. Companies are no different. For companies, “stuff” is information — files, email, databases, images — which make up a wide variety of digital content. Like any living entity, information has a lifecycle: it’s born, it has a useful life and it dies. For information, death means no longer being relevant or useful. Companies are great at creating information and pretty good at protecting it while it’s relevant. The problem usually comes with knowing when it’s no longer relevant and to let it go. For more than half a century information management methodology has focused on making sure we can “get the data back” while ignoring the question of “do we really need it anymore?” There are acres of warehouses filled with magnetic tapes protecting a company’s valuable information assets. How much of those “assets” should really be in a garbage bag on the curb? There is a growing sense of urgency in corporate circles to attempt to reign in the pervasive data sprawl that has come about as a result of cheap real estate a.k.a. disk space. As data center costs increase with no limit in site for the amount of data being generated, IT departments are asking corporate management to buy into retention strategies. Whether it’s email, collaboration suites, or data warehouses, there is more and more urgency being assigned to the need for Information Lifecycle Management (ILM). We have pushed out a significant amount of data management to the masses. Everyone in our organizations has the ability to create data, not just in “systems of record”, but on file systems, desktops, laptops and mobile devices. The problem? Most people are not skilled to manage data life-cycle. This leads to what I like to call data sprawl. The result is IT departments have the herculean task to manage and protect this data. We see unlimited backups of questionably valuable information. So let’s start with a basic question: what data do I have? Data is one of the most important assets of any organization, important enough that we expend effort and resources to protect it. We use methods like redundancy strategies and backups. These cost money. Protecting more data then necessary is a waste of resources. So, getting a picture of the types and sizes of files on our system will help us understand where to start. For many businesses, particularly in the SMB space, the question of ILM needs to start at the beginning. Let’s say we have a small business with approximately 1 Tb of “active” storage on our file systems. Do we even know what types of data we are storing? Why are there so many BAK files? What are they? Why are there music files (mp3, m4a) on our file system? Are they personal? We sure do have a log of .jpg files. Are the business or personal? 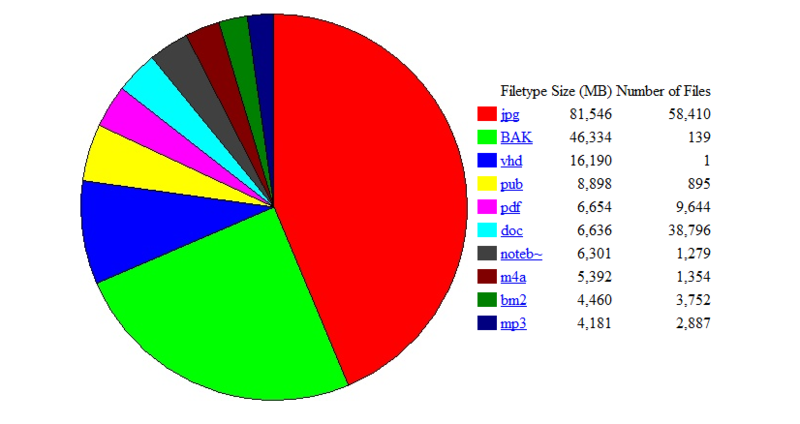 And this is just file system space. We will also need to look at email systems, databases, and mobile devices. The size of data being managed directly impacts expenses along the ILM chain. The rewards in costs savings can be substantial. If you don’t get your “data” house in order, you will run up ever increasing data management costs. Add to this you will have decreasing certainty that you are adequately protecting one of your most valuable assets. So what are you waiting for? Dump that box on the floor and get started! In 1995, Marc Neer, founder of InfoManage, decided to take his technology expertise, gained from working at the fast, intense pace of Wall Street, and create a new type of IT support company. InfoManage is a boutique technology support firm that offers a blend of strategic, high-level consulting with unmatched operational support expertise. Let's talk! For more information, contact us at 212-931-0705 today. In 1995, Marc Neer, founder of InfoManage, decided to take his technology expertise, gained from working at the fast, intense pace of Wall Street, and create a new type of IT support company. InfoManage is a boutique technology support firm that offers a blend of strategic, high-level consulting with unmatched operational support expertise. Let's talk! For more information, contact us at 212-931-0705 today!